Mediatimes > Other > How Much Money or Reward Athletes Get From Their Countries On Winning A Medal? Athletes practice their whole life to participate in the Olympics and they sweat in blood during their training sessions. All this hard work is for the medal which is the reward in the end. The hard days of training and exhaustion boil down to just one moment when you step foot in the stadium as a proud representative of your country in the biggest sporting event. Let’s find how countries reward these heroes on winning a medal. What is the value of medals? 1. Gold – The medal is worth $600. 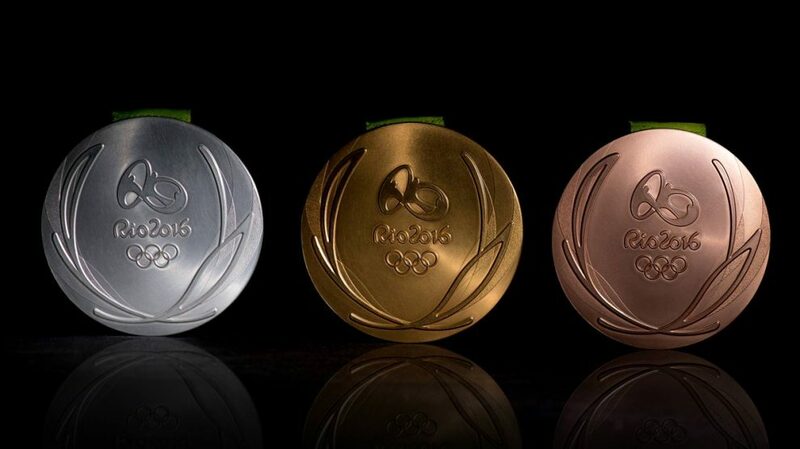 The gold medal actually has just 1% of actual gold. It’s 92.5 % silver and 6.16% copper. 2. Silver – The medal is worth $325. It consists of 92.5% silver and 7.2% copper. 3. Bronze – The medal is worth $3. It is 97% copper, 2.5%zinc and 0.5% tin. Singapore gives the highest rewards. Singapore rewards its players highly. Its national federation pays higher than any other country if you win a medal. It gives $734,000 to gold medal winners, $367,000 to silver medal winners and $183,500 to bronze winners. No cash prize by the U.K. The United Kingdom gives no incentives to its players. Great Britain is the only major contender which offers no cash prize to its medal winners. It’s pretty shocking to see the UK not rewarding its athletes. Some countries offer cash rewards over a period of time. Thailand offers its players an amount of $314,000 over a period of 20 years. The Philippines also offers it’s players the amount at a time span of 20 years. It offers its players an amount of $237,000 over the stretched period of time. Malaysia rewards its gold medals in a different manner. It rewards them by giving a solid gold bar worth a whopping $600,000! Malaysia is the only country which rewards its players by giving a solid gold bar. Bigger countries offer a lesser amount on winning medals. Countries such as France, China, U.S.A and Germany offer a very less amount to the medal winners. Whereas small countries such as Azerbaijan and Kazakhstan are way ahead than this bigger countries when it comes to rewarding their players.